Since FluidRay RT is a standalone application, you can directly import assets using most widely used file formats; for deeper integration, FluidRay RT also includes integration plugins that are completely free. You don't have to pay separately for renderer and integration - such as integrations for SketchUP!, Rhino 3D and Shade 3D. 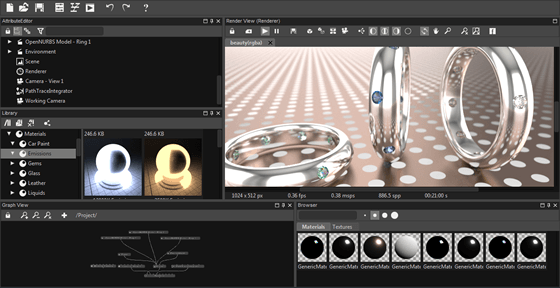 Render faster in Shade 3D with FluidRay RT and the Shade 3D Integration Plugin. Compatible with Shade 3D ver 14 and higher. Blazing, real time speed is achieved by incredible multi-core, multi-processor rendering without using your GPU. Why So Fast? FluidRay RT Renderer is so fast and efficient because it operates solely on the processors and cores of your computer and doesn't tether you to any specific GPU standard. Every feature is accessible within just a few clicks. No endless series of modal dialogs. 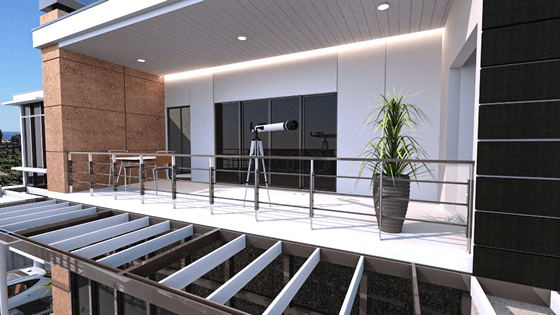 FluidRay RT is an unbiased renderer, where all materials and lights are physically accurate, always producing the highest-quality photo-realistic images. 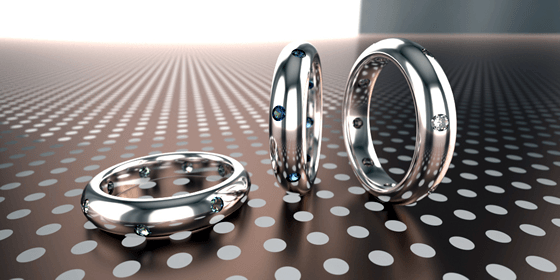 Prototype your designs with real world accuracy; jewelry designers will find FluidRay RT perfect for its accurate representation of gems and metals.